The World Igbo Congress (WIC), a notable Igbo-Biafran group in Diaspora, is currently in the middle of what might actually be a game. However, if that is what it is, then the coloration and the full details is yet to manifest; and so Biafrans must beware. Yes! Biafrans must be on full alert to know where they are fully headed. What is known of some groups in Igbo-Biafraland is that they have always pretended to be fighting for Igbo-Biafran interest, when in actual fact they use such interests as a bargaining chip to feather their political nests. We have many of them as socio-political groups, political parties and groups and so on. Amongst them are Ohanaeze Ndigbo; All Progressives Grand Alliance (APGA); Movement of Biafrans in Nigeria (MOBIN); Bilie Human Rights Initiative (BHRI); Biafra Independent Movement (BIM); and even Biafra Zionist Movement (BZM). Often, what happens is that immediately the group gets what they are looking for in government or from government, the issue of Biafra is jettisoned. Recently, WIC claimed to be in support of the Indigenous People of Biafra (IPOB) and its leader, Nnamdi Kanu; the only group that have refused to compromise their quest for Biafra in spite of hundreds of their members being killed, dehumanized, and imprisoned. But the question is: How genuine is WIC in this its current statement and stance? 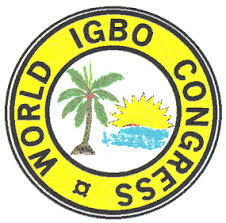 It is on record that WIC is an Igbo group that claims to be an amalgam of all Igbo-Biafran groups in Diaspora. However, what is evidently known about the group, since the time of Olusegun Obasanjo as Nigeria’s president, is that it fraternizes with politicians in power (both at home and abroad). By doing so, it secures monetary inducement for itself and political appointments to its members from governments, just like the social group, Ohanaeze. In the process, they have often connived with governments to oppress the people further, just as Ohaneze did last year by instigating the Operation Python Dance with the Nigerian military and government to murder scores of Biafran youths and nearly killed Nnamdi Kanu. For this reason, it is good that Kanu, in accepting to work with WIC, has warned that nobody or group would cut any deal with IPOB. After all, it was this same group that invited Kanu to sound him out on his road-map to Biafra, only to start accusing him (for the benefit of Nigerian government) of soliciting for arms. This writer, therefore suggests that Biafrans should be careful, and take the statement of WIC with a pinch of salt. For starters, leaders of WIC should travel to Israel meet with Kanu, and there pledge their support for the whole world to see. That is the better way than a statement released from the United States of America (USA), which could be denied at any point in time.